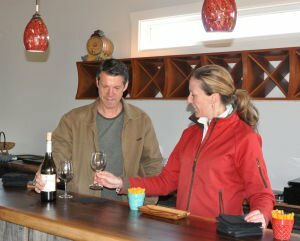 We are excited to be participating in Morganton's 1st Annual Taste of Burke. Rack Cards Sent to Print! 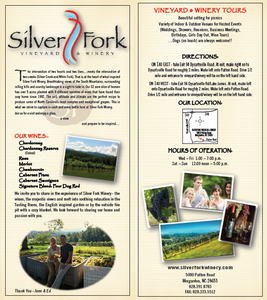 After weeks of design work - our Silver Fork Winery Rack Cards were sent to the printers!! 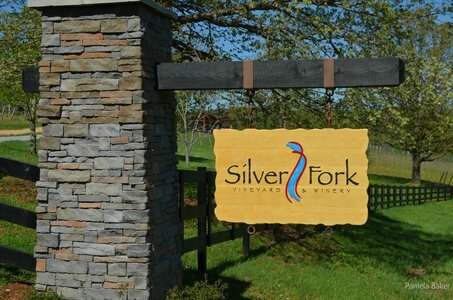 Silver Fork Vineyard and Winery in Morganton, which is owned by Jennifer Foulides and Ed Wisnieski, is the sixth to open in the county and could become a stop on what will be marketed as the Catawba Valley Wine Trail.